Our terrific logo was designed for us by the award winning children’s book author and illustrator Tim Hopgood. Tim worked for i-D Magazine, Vogue, Tatler, Harpers&Queen, and GQ before becoming a book illustrator. His first book, Our Big Blue Sofa, was published in 2006 and won the Cambridgeshire Read it Again! award for best début picture book. In 2008 he won the Booktrust Early Years Award for Best Emerging Illustrator, with the hugely successful WOW! Said the Owl. 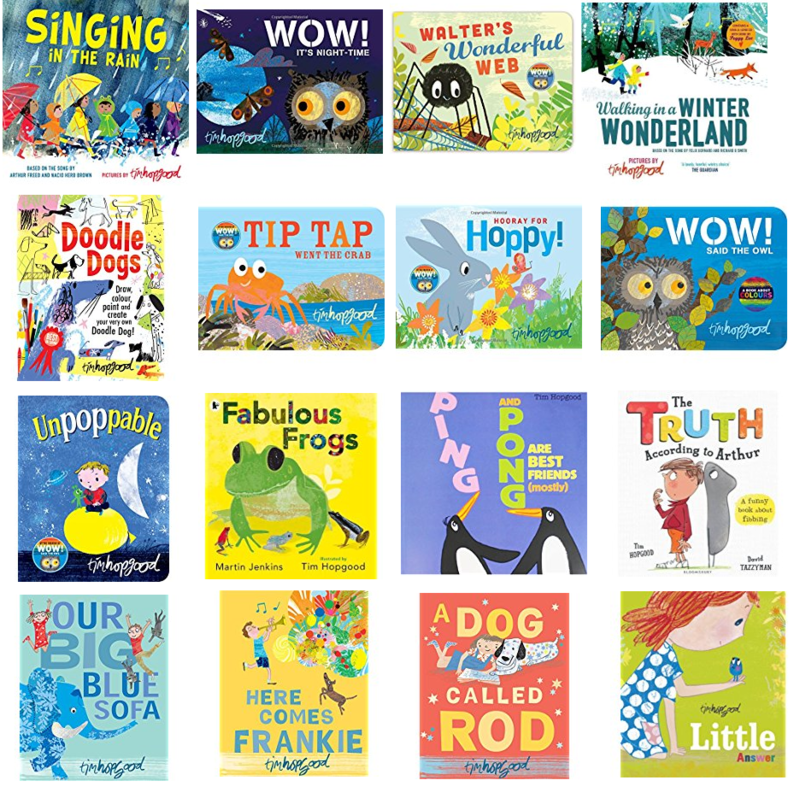 His books, including A Dog Called Rod, Here Comes Frankie, TIP TAP Went the Crab, Hooray for Hoppy and Walter’s Wonderful Web have been translated into over 20 languages. Tim’s favourite colour is blue, and one of his favourite albums to work to is Kind Of Blue by Miles Davis. We’re truly honoured to have our logo designed by Tim. Thank you Tim! NB All links take you to the Birmingham libraries catalogue page for the relevant book or CD.